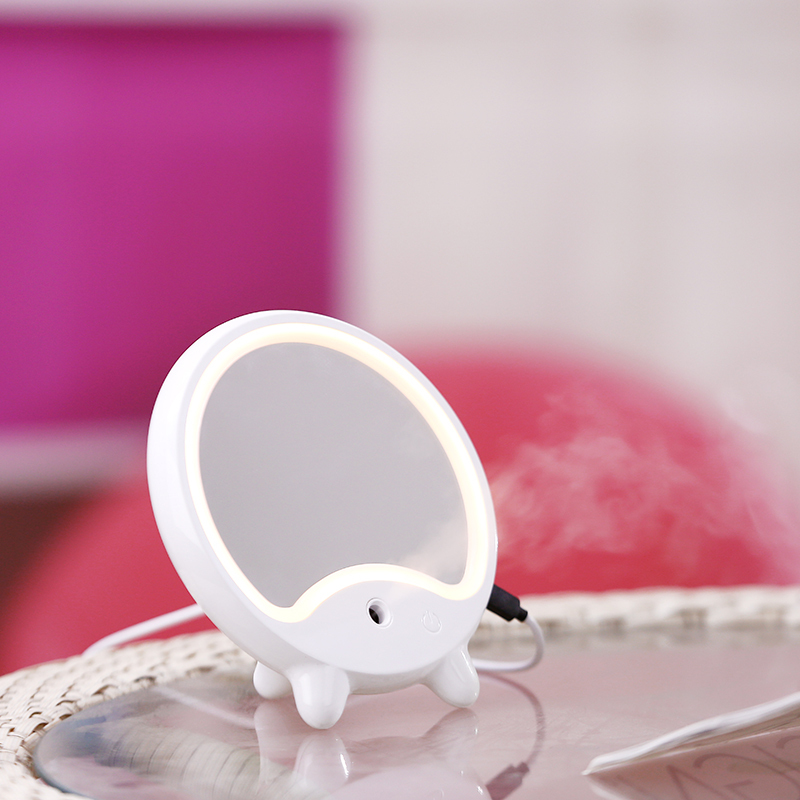 Successfully Added LED Makeup Mirror - Face Humidifier, Nature LED Light, 100ML Water Tank to your Shopping Cart. This stylish cool mist humidifier adds moisture to your air to eliminate dryness and help with your dry chapped skin, chapped lips and dry sinuses.Used it before you make up , make your makeup more docile. LED lighted allow you to do your make-up in the dark or poorly lit areas. It is perfect for makeup fill light and illuminates your beauty. Pretty girl, you don’t worry about the light is not bright enough when you make up and take photo. Showing your beauty right now !.